Alexander Milosevic says Martin O’Neill “will not hear me complain” about his positional shift as left-sided centre-back. 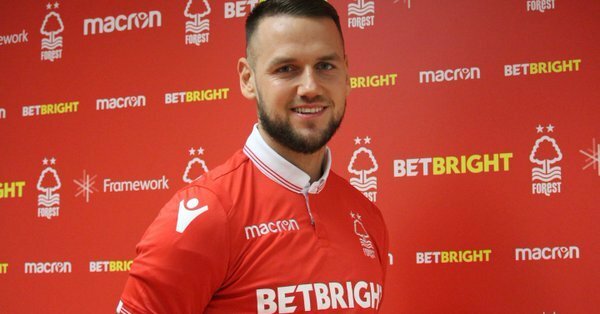 The Nottingham Forest defender is a natural on the right-hand side but has been forced to operate on the left due to new signings Molla Wague and Yohan Benalouane being right-sided players. O’Neill was busy signing defenders on transfer deadline day but didn’t manage to bring balance at centre-back so Milosevic will have to operate on the left. He’s willing to play wherever O’Neill asks him too, however, telling Nottinghamshire Live: “I played there some times when I was playing in Germany. “This past season, with AIK, we had been playing 3-5-2 and I played on the right side of that. There is a bit of a difference when it comes to the angle that the ball comes at you and the passing… but that is something you have to get used to. “If the gaffer wants me to play on left side I will do it. You will not hear me complain. I only usually step with my left foot onto the bus… no, my left foot is alright. It is not too bad”. The 27-year-old signed an 18-month deal from AIK and has made two Championship appearances for Forest. Milosevic helped the Reds to victory over Brentford on Saturday and could be in line to start against West Bromwich Albion on Tuesday evening. O’Neill is without Michael Hefele, Michael Dawson and Tobias Figueiredo for the trip to the Hawthorns, so the likes of Milosevic, Yohan Benalouane, Molla Wague and Jack Robinson are left to compete for two places at centre-back. Forest could go within two points of the Championship playoffs with a win over Albion.